Locally I have received great support and encouragement over the years from Chief Forestry Officers Mr James and Mr Andrews. Many other members of the Forestry Department have also been very supportive. I will mention five other individuals without whom this work would not have been completed. I write about each below in no special order. Dr Richard A. Howard who wrote the 'Flora of the Lesser Antilles : Leeward and Windward Islands' , checked the identification of my early collections and was very encouraging in his long, typed letters. Jacques Fournet, author of 'Flore illustrée des phanérogames de Guadeloupe& de Martinique', responded promptly to many emails and images using his tremendous knowledge both in the field and in the herbarium. His flora has also proved invaluable to me. 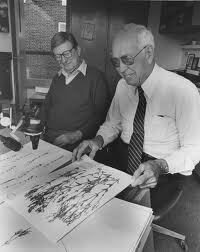 My collaboration with Franklin Axelrod, long-time curator of the herbarium at the University of Rio Pedras Puerto Rico, began about 5 years ago when I received a little welcome funding to collect grasses, sedges and what I suspected were first Saint Lucian records and sent duplicates over to him. He quickly identified the grasses and sedges, which I was not competent to do and these form the basis of the grass and sedge collections in our local herbarium at the Forestry Department. Since then I have built up a substantial collection both here and in Puerto Rico - the Puerta Rican collection is very important because it provides the validation for the 300 hundred or so first Saint Lucian collections I have made. In addition some wrong identifications from the earlier collection have been corrected and all names brought up to date. Thousands of emails have been exchanged and I have visited San Juan twice. I believe that my plant albums have a sound taxonomic base and this has been made possible by the great knowledge, skill and hard work of Frank. He and his wife were very hospitable to me when I stayed with them; like me they seem to run a small guest house but unlike me, they forget to give you the bill! 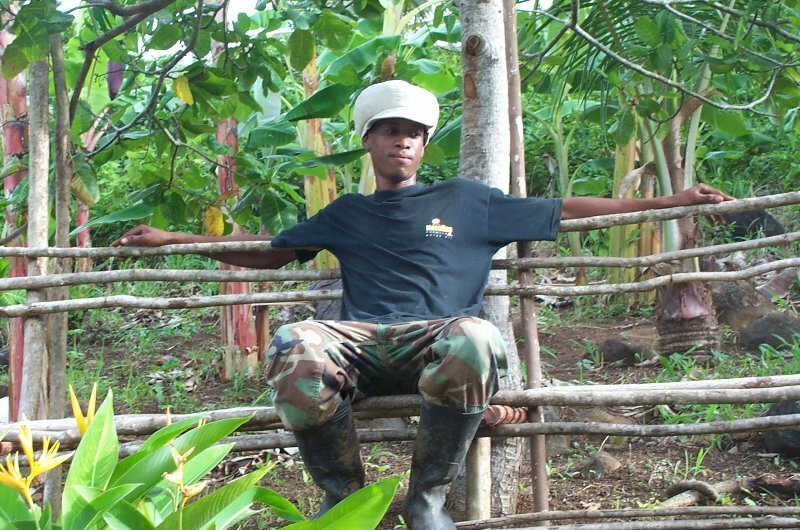 I met Melvin Smith (here relaxing on his farm) 11 years ago when he was 19. Since then we have made over 600 field trips to all parts of the island. 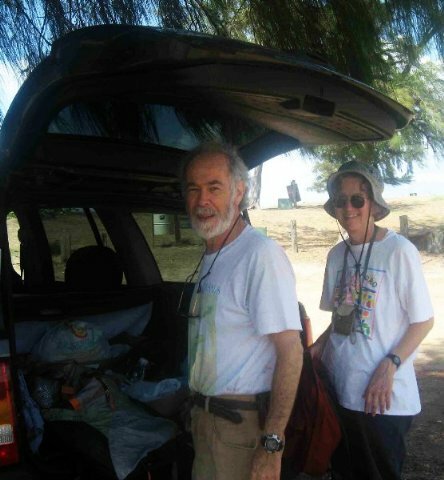 He has such great field skills that we have been able to frequently go off trail and make a multiple trips to all parts of the Gimie range and deep into the many Choiseul ravines. In addition he has an excellent eye for plants. Many of the first collections we made were actually spotted by him. Along the way he has learned to recognize most of the plants of Saint Lucia. Last but not least, my business partner Henry Augustin who has supported this project by covering for me on my frequent absences in the field and during the enormous amount of time spent on the computer afterwards. In addition it is the guest house that has provided the financial support needed for such a project. His support has been essential. Luckily for me he has a great love of plants and gardening although a childhood spent helping on the family farm on the forest edge has put him off bush walking for ever!